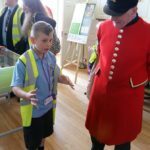 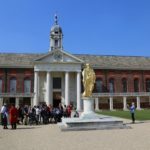 The Community Kids Club had a truly memorable day visiting The Royal Hospital Chelsea last week. 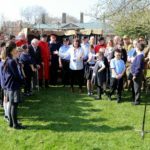 Fourteen primary and four secondary pupils collectively celebrated the part The Bay CE School has played in the ‘Battlefields to Butterflies’ Project. 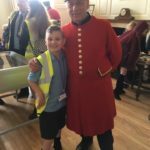 They met the artist, Chelsea Pensioner, Rick Graham whose painting was the inspiration for the whole event and exhibition. 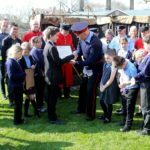 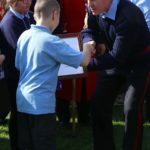 The children presented framed letters from the High Sheriff and Sandown Town Council which thanked them for the community initiatives they have been involved in. 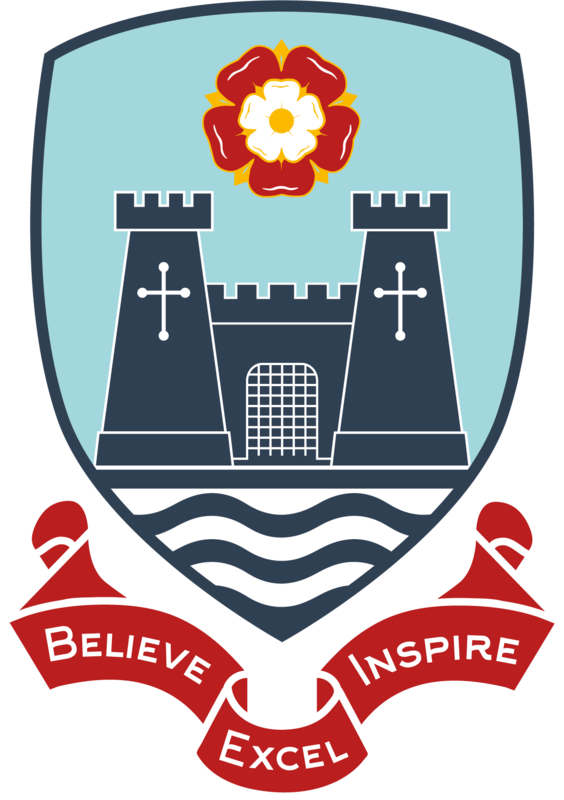 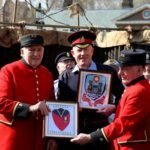 They also handed over their framed school logo and Chelsea Pensioner logo which will go on display in the Hospital. 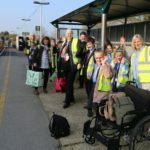 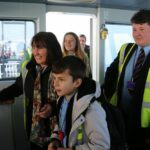 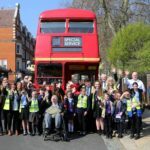 The Community Rail Partnership funded the whole trip and arranged for the children to meet with the Captain on the bridge of the Fastcat and travel in style from Waterloo on Sir Peter Hendy’s vintage London Bus.